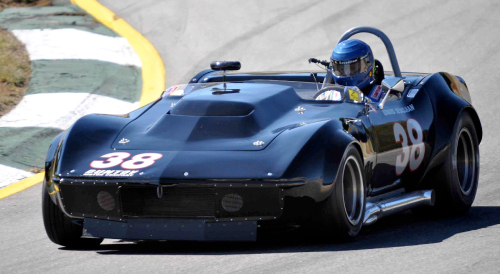 We were back to full strength at the SVRA season ender at Road Atlanta. Edward and John were fully recovered and Clair was able to join us with his 37 car. The weather was beautiful, and the professionalism and hospitality of the SVRA people was outstanding. 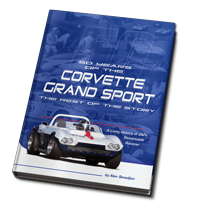 What a shame it is that this would be the last SVRA race so capably run by Carl Jensen and Jack Woehrle. Vintage racing just keeps shooting itself in the foot, reloading, and doing it again. 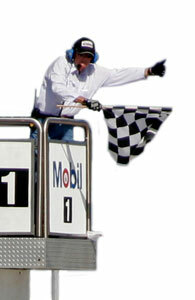 Clair finished on the podium with his #37 car after a race long dual with Porsche pilot and overachiever Frank Beck. 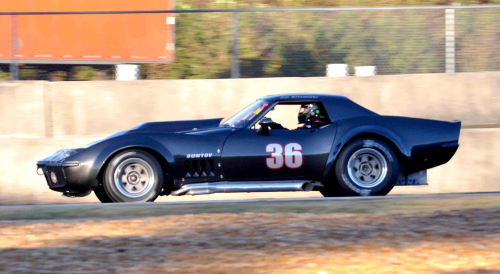 This was Jim Kitzmiller’s second trip to Road Atlanta, and he did well, finishing the weekend incident free. It had been a month since Tony Dowe had joined us, and this was the first opportunity to bolt on some of the pieces he had engineered for our car. Tony made it clear that it would take his whole package to make a difference, and that the changes we made at this race would likely yield only information, not lap times. 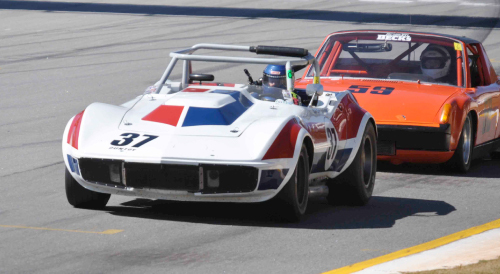 SVRA has minimum weights for Group 6. HSR does not. When we built the car we did everything we could to keep the weight down for the HSR configuration, so for SVRA we had to add hundreds of pounds of ballast to get to their minimum. At this event we were two seconds a lap faster than the next fastest Group 6 car, which was enough to bring about a surprise weigh-in following qualifying. We were 35 lbs over the minimum. Interestingly enough, the weight hurt our lap times less than a half second a lap compared to the September HSR race. This weekend we learned from the partial installation of Tony’s parts, but in the week following this race we installed the rest of the package and headed to Sebring.